There are sets of four labyrinths each, from which the labyrinths are in a complementary or dual relationship with each other. This is also expressed in their sequences of circuits. 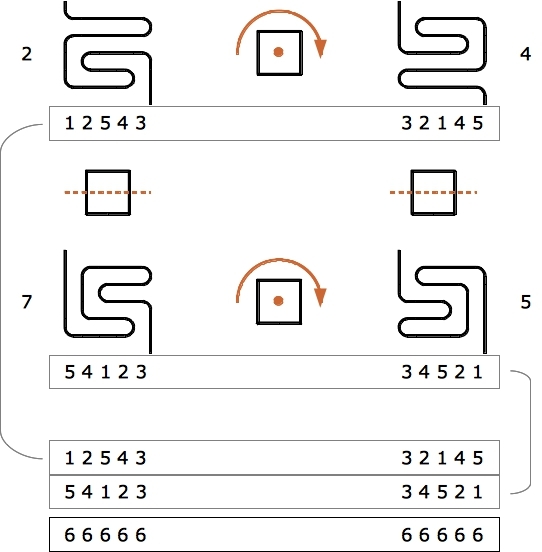 If we write down the sequences of circuits of complementary labyrinths below each other, they add up at each position to One greater than the number of circuits. In fig. 1 I show what this means. First we write down the sequence of circuits for each of the four patterns. The patterns in the same column are complementary. Next we extract the sequences of circuits of dual labyrinths 2 and 4 and in the line below write the sequences of circuits of dual labyrinths 7 and 5. Now we can add the numbers below each other and will find that at each position they sum up to 6. This is 1 greater than the number of 5 circuits. 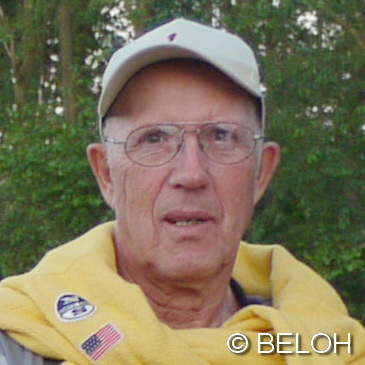 Now there is another relationship between the sequences of circuits. This is illustrated in figure 2. The sequences of circuits of the dual-complementary labyrinths are mirror-symmetric. Thus, in this case, the labyrinths that are in a diagonal relationship to each other are considered. Labyrinth 5 is the complementary of the dual (4) and the dual of the complementary (7), respectively, i.e. the dual-complementary to labyrinth 2. This connection is highlighted by a black line with square line ends. The sequences of circuits of these labyrinths are also written in black color. If we write the sequence of circuits of labyrinth 2 in reverse order this results in the sequence of circuits of labyrinth 5 and vice versa (black sequences of circuits). Labyrinth 7 is the complementary of the dual (2) and the dual of the complementary (5), i.e. the dual-complementary to labyrinth 4. This is highlighted by a grey line with bullet line ends. The sequences of circuits of these labyrinths are also written in grey. 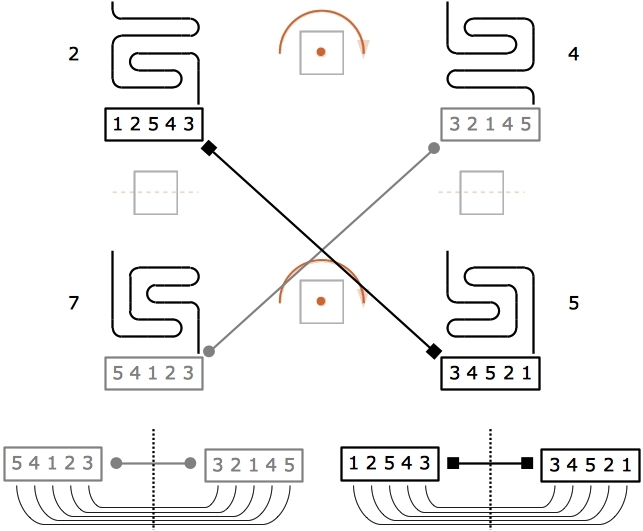 Also in this case it is true: the sequence of circuits of labyrinth 4 written in reverse order corresponds with the sequence of circuits of labyrinth 7 and vice versa.